With more than 25 years experience, Jane Hill has been a leading figure in the Australian bridal industry, well known for their beautiful and unique designs. 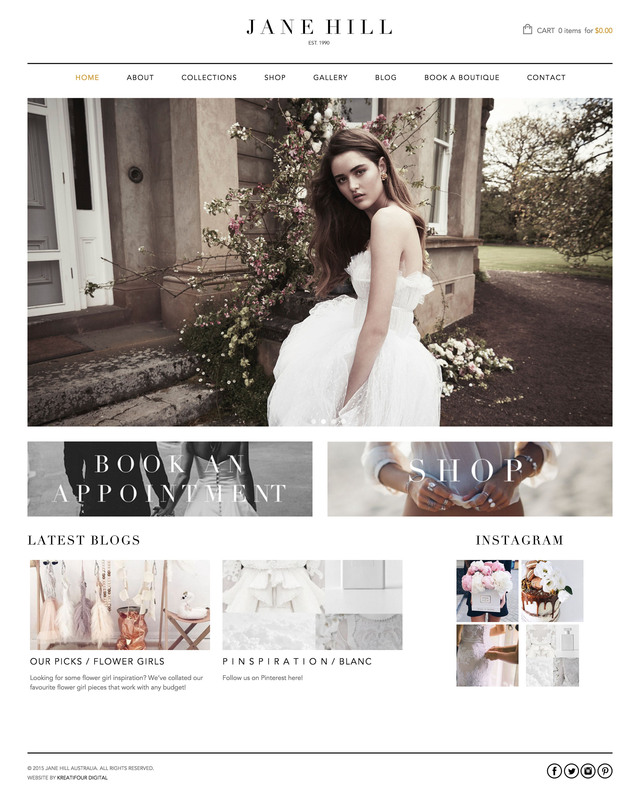 Jane Hill needed a website that reflect their classic and premium brand in the digital world. Kreatifour team has delivered not just an exceptional website but also help them generating more leads from all available digital channels such as social medias and search engine.